Known for being the location of Sindhudurg Fort, Malvan offers tourists a pleasant beach getaway that boasts historic sites and peaceful temples. Take a break from the city and head to Devbagh Beach and Bhogwe Beach. 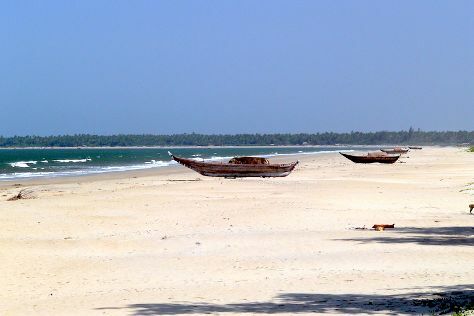 We've included these beaches for you: Tarkarli Beach and Achra Beach. There's much more to do: delve into the distant past at Sindhudurg Fort, head off the coast to Tsunami Island, take in the spiritual surroundings of Jai Ganesh Mandir, and don't miss a visit to Rock Garden. To see reviews, where to stay, and other tourist information, read our Malvan day trip planning app . The Route module can give you travel options from your home to Malvan. Finish up your sightseeing early on the 18th (Sat) so you can travel back home.